IBBI president Tom Broy (left) presents the award to Michael Range, Garmin’s engineering business development manager for marine. 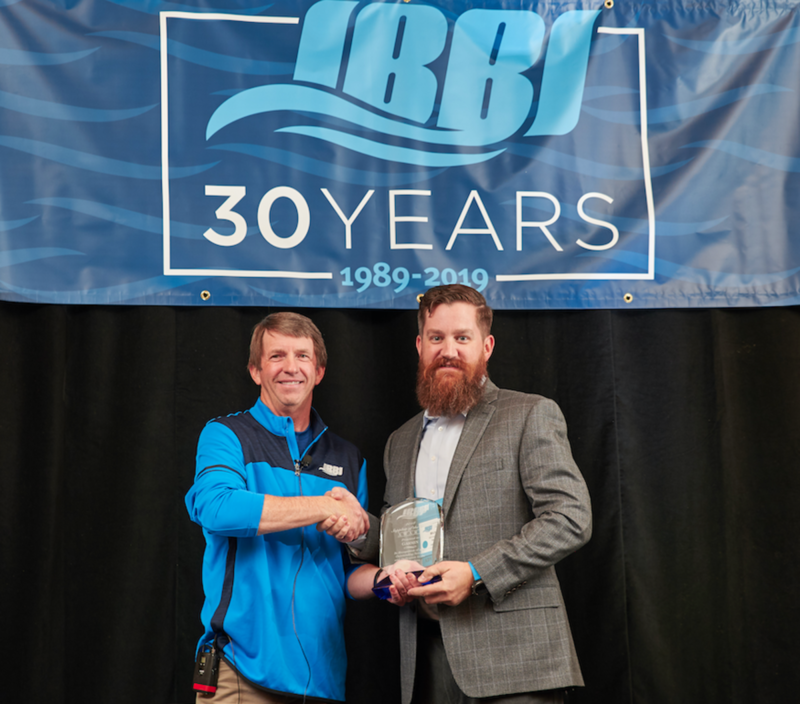 Independent Boat Builders, Inc., a marine-industry purchasing cooperative made up of 19 boat manufacturers, named Garmin International its Supplier of the Year for 2018. Garmin has a been a supplier of choice for the group since 2014 and last year was named its exclusive marine supplier. The award was presented at the IBBI annual meeting March 4-6.